Known and Trusted for Decades! We will do our best to accommodate your busy schedule. Schedule an appointment today! We accept most forms of insurance including Medicare. Are you experiencing neck pain, lower back pain or any other musculoskeletal pain? We know that it is more than just a pain, it can affect your health and entire life to the point that you are not functioning at your optimum. Doctor Janet Jeranek at Jeranek Family Chiropractic, serving Kenosha and the surrounding area, understands that the struggles and discomfort you may be experiencing are real and we offer you 25+ years of expertise in correcting the cause of your pain. Dr. Janet Jeranek has the ideal corrective treatments for you, which reduce and eliminate the cause of your pain and dysfunction! We pride ourselves on our comprehensive examinations that allow us to gain valuable information about your health and conditions. This gives us the ability to treat your condition in the most precise way possible, and your treatment plan is based on a variety of factors including your medical history, environment and lifestyle. 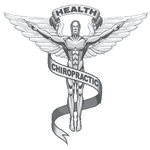 You've obviously searched for a chiropractor in Kenosha, so you're obviously interested in what our Kenosha chiropractor has to offer you. First and foremost, chiropractic care consists of a range of treatments way beyond what most people think. We regularly perform chiropractic adjustments, which is realigning the spinal vertebrae to allow the nervous system to function properly and corrects the cause of your pain! We also help rehabilitate disc and musculoskeletal problems by utilizing spinal traction, neuromuscular re education, exercises, water therapy, and spinal decompression–a treatment consisting of a motorized device that gently stretches the spine–in order to reduce the amount of pressure on the discs and nerves. We deliver rehabilitative care, which includes various forms of therapy and exercise, to aid in your spinal correction, which improve your range of motion and function. We utilize water therapy, to soothe muscle soreness, stiffness and achiness. Dr. Janet Jeranek's corrective chiropractic care is specific correction for your spinal and extremity conditions. At Jeranek Family Chiropractic, we treat conditions including the following: Lower back pain, Neck pain, Mid back pain, Shoulder pain, Knee pain, Degenerative Joint and Disc Disease, Arthritis, Scoliosis, Poor Posture, Sciatica, Hands or feet numbness or tingling, Headaches including Migraines, Disc problems, Whiplash, Sports and Automobile Injuries. Doctor Janet Jeranek is a Kenosha chiropractic specialist who has successfully helped thousands of patients over the past 25+ years, who suffered needlessly from musculoskeletal, disc problems and nervous system issues. Chiropractic Care is non-invasive and we use spinal adjustments and corrective therapies to treat and fix the cause of your pain and dysfunction. Our treatments don't require any downtime, so after you leave our office, you're able to go back to work. You'll find that our treatments will cause you little to no discomfort during the process. Dr. Janet Jeranek has a proven track record of providing very successful treatments that get maximum results by having her patients actively participate in their getting well. We also utilize rehabilitative therapies which include exercise, traction, neuromuscular re-education, whirlpool therapy, electrical stimulation to increase and maximize your progress and we monitor during your entire treatment. We do not prescribe medications that cover up the problem; instead, we use successful non surgical, rehabilitative treatments that target and correct the cause of your pain. You've searched Kenosha and found one of Kenosha's best chiropractors who is a strong, caring, compassionate, comprehensive doctor who listens to your problems and sets up a precise treatment plan to correct the cause of your problems. Doctor Janet Jeranek also works side by side with her highly trained, compassionate and caring staff. We're extremely knowledgeable and successful in correcting the cause of your pain or dysfunction and we offer treatments that take a full-body approach to healing, so you end up functioning and feeling better than you did before your treatment with us. We use treatments that will help you regain your ability to move and function normally again. Doctor Janet Jeranek has 25+ years of precision experience and is an expert in helping her patients avoid surgeries, by correcting the cause of their spinal ailments, which allows her patient's to function optimally again. Dr. Janet Jeranek also helps her patients with balance and gait issues. Dr. Janet Jeranek Can Help! 25+ Years Of Successful Experience! Call us at 262-694-7833 today! At Jeranek Family Chiropractic, we understand how pain and dysfunction can control your life and make everyday tasks seem burdensome or even next to impossible, but we are here absolutely to help you! Our skilled team is very successful in aiding in the correction of the cause of your pain and dysfunction. Call our office today and make an appointment to visit our highly skilled and experienced doctor to restore your quality of life. Experience better health through chiropractic! Dr. Janet Jeranek B.S., D.C. Call Our Kenosha WI Chiropractor Today! Schedule an appointment with our Kenosha WI chiropractor at Jeranek Family Chiropractic to find relief from lower back pain, herniated disc recovery, neck pain and more. You can reach us at 262-694-7833. Sign-up using the form or call us at 262-694-7833. We accept Insurance plans such as Medicare, Medicare Supplements and most others.